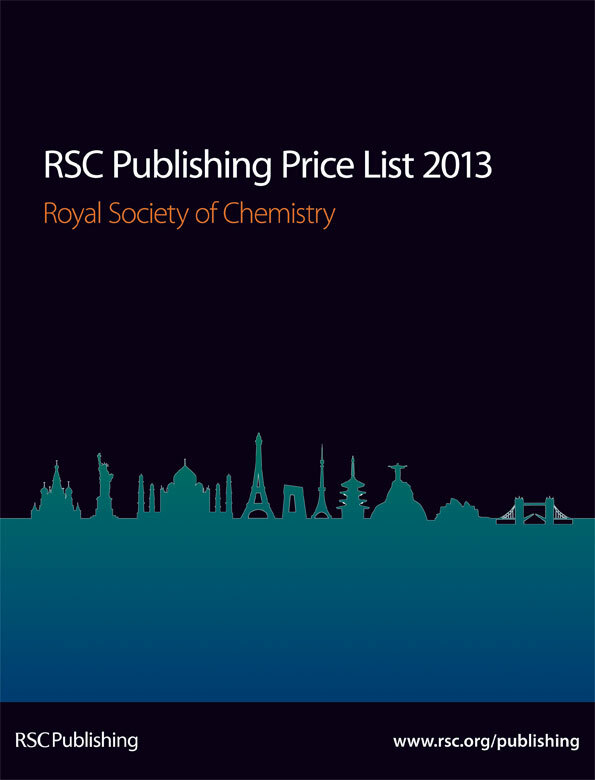 The Royal Society of Chemistry would like to announce its 2013 Price List for journals, databases, magazines, eBooks and various collections. Growth in content, higher impact factors, increased international influence and global visibility are at the cornerstone of everything we do. And here’s just some of the proof.In the past year the number of articles in RSC journals has risen by 53% to more than 20,000, whilst 41% of our journals have achieved an Impact Factor of *5 and above (that’s more than Elsevier, Wiley and the ACS). We can boast authors from more than 90 countries worldwide, and our content has been downloaded by virtually every country on the planet. 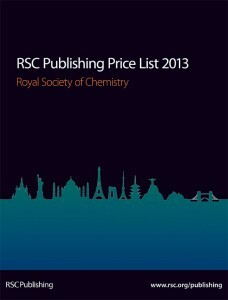 Please see below for a summary of all the key changes for 2013, reflected in the new Price List. The Journal of Materials Chemistry brand will continue in the form of three journals, but will still be available as a full collection. Each journal will focus on an area of materials chemistry, divided by the nature of the intended applications of the materials studied: energy and sustainability; biology and medicine; and optical and electronic devices. If you would like to discuss your own subscription, creating a bespoke package or upgrading to RSC Gold, please contact us. thông tin rất hữu ích!